As our commitment to provide you with best of our services and to ensure you can purchase your Powerball without having to run around for it, we are constantly working to establish easy to reach dealer and reseller network. 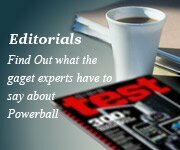 We apologize if during this period you have not found an NSD Powerball reseller in your area/city within your reach. In the mean-time, we are also handling sales directly through our head office located in Mumbai. If you already know which Powerball you wish to purchase, then please, do screen through our various Payment Options to make a payment for your order as per instructions. You Powerball will be dispatched via courier for Next Business Day delivery at no extra charge upon receipt of your payment. 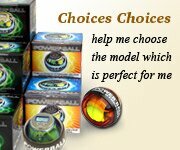 Please click here to view our Powerball range! 115, Chheda Sadan, J Tata Road, Churchgate, Mumbai 400 020. 806, Empire Mahal, Dadar T.T., Mumbai 400 014. If you cannot find a reseller / dealer for NSD Powerball in your area and would like to enquire about becoming a reseller/dealer in your city or state, please click here to get in touch with our sales team.